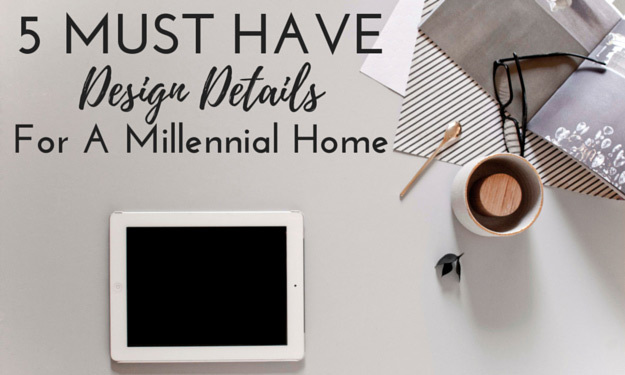 You might have heard us talking (or blogging) recently about our passion for home design specifically for the millennial renter… but what does that mean? Are we just building on stereotypes, designing homes with perfect selfie spots in every room? The fact is, 20-something renters are nothing new, and the chief desires of any renter, old or young, are usually the same. However, the Millennial generation is bringing with them a unique set of wants, needs, and preferences. So what are the must-haves for the ideal Millennial home? I help young professional renters find the perfect home on a daily basis, so here’s my insight into the key features Millennials seek out when searching for a place to live. So Who Exactly Are Millennials? You’ve probably heard the term “Millennial” thrown around a lot, but you may not know who falls into this generation. Here’s some quick info. According to the U.S. Census Bureau, Millennials are individuals born between 1982 and 2000. Millennials (also referred to as “Generation Y”) are the nation’s largest generation, making up a quarter of the entire U.S. population. Millennials currently number a whopping 83.1 million. That’s a good deal larger than the 75.4 million Baby Boomers who make up the nation’s second-largest generation. Based on size alone, Millennials yield significant purchasing power—giving them the ability to influence demand and popular trends. It should come as no surprise then that as Millennials move into their late 20s and 30s, homes are now being designed and renovated specifically to appeal to this generation. Millennials stand apart from previous generations when it comes to what they value in a living space. Here are five features Millennials are looking for in a home. Rather than looking for homes in private areas, Millennials are looking for homes where they feel more connected to the larger world. They want convenient access to things like restaurants, retail, coffee shops, grocery stores and public transportation. They also want to be in close proximity to parks and recreational areas, with lots of sidewalks, walking trails and pet-friendly spaces. Rather than looking for extra bedrooms or designated rooms like living rooms and dining rooms, Millennials want flexible space they can use in various different ways. That might mean an extra living room or loft that could be converted into a bedroom or office. Instead of limiting themselves to what’s there, Millennials want spaces with the potential to be transformed into something else in the future. A good example of this can be found in our recent renovation of the Brinkley Apartments in Midtown Memphis, where we added retractable windows to the bricked-in porch to make this a multifunctional indoor/outdoor area. Millennials are accustomed to being “connected” to technology—and they want their homes to be connected too. According to this article, more Millennials would rather brag about a home with technological innovations than a kitchen upgrade. Millennials want smart, Wi-Fi-connected technology built into the home that enables them to easily control things like lighting, heating/cooling, smoke and carbon monoxide detectors, speakers, TVs, and appliances using their phones or tablets. They also want spaces that are “technology friendly”—meaning lots of conveniently located outlets or even built-in charging stations. Millennials are over cookie cutter “McMansions.” They prefer homes with custom and unique design elements—inside and out. This generation of renters value the things big and small that make their homes different than the usual post-collegiate apartment. This is something we intentionally try to incorporate in all our renovations. You can see some clear examples of that with this project we worked on. While few folks enjoy dealing with home maintenance, I’ve found that renters of this generation are even more conscious of the time, money and energy that goes into the upkeep of a home. Even with older homes—which have the unique features Millennials hold in high regard—renovations that decrease the likelihood of potential future maintenance are valued greatly. This Design Milk article notes: “Millennials want things that require little maintenance, because they don’t always have lots of time. Materials that offer high design, and are easy on the wallet for both the upfront costs and long-term maintenance are ideal.” I couldn’t agree more! Is every person born after 1982 looking for the same things in a home? Of course not. Each homebuyer or renter has a unique set of wants, needs, and preferences. Millennials are no different. These are simply some common threads we’ve been hearing from Millennials renters. With every generation, home design trends and styles change, and we’re simply here to meet the needs of our clients!